Film4 director David Kosse and his team talk Andreas Wiseman through the company’s direction, its roster of up-and-coming directors and future projects. Ten months into the job and Film4 boss David Kosse has made his mark. Business as usual at one of the smartest talent evaluators in the business means continuing to support prized talent early and often, from Steve McQueen to Jonathan Glazer, and Ben Wheatley to Andrew Haigh. Film4’s autumn lineup includes Suffragette, High-Rise and Kosse’s first greenlight, Lenny Abramson’s Room, cementing a high-profile festival year for the company that has already seen Todd Haynes’s Carol win Best Actress for Rooney Mara at Cannes. Next year is shaping up to be equally impressive, with a healthy combination of former collaborators and new faces. In post-production are Ang Lee’s Billy Lynn’s Long Halftime Walk, Andrea Arnold’s American Honey, Benedict Andrews’ Blackbird and Adam Smith’s Trespass Against Us. But behind the scenes, the Oregon-native and distribution veteran has shaken up the old order at the film arm of UK broadcaster Channel 4, which hired him last year in part to sharpen the outfit’s commercial instincts and grow international ties. “We are still as committed as ever to the excellence of creative talent but it’s how we build those projects where you’ll see the difference,” says head of commercial and brand strategy Sue Bruce-Smith. “We’re trying to take the £15m [$23m] we’ve been allocated and make that go as far as possible through backing new voices and material while also seeing a return on our investments,” explains Kosse. Earlier recoupment, holding back UK sales, bigger or smaller equity stakes - depending on a project’s commercial viability - and streamlined deal-making are ways to ensure that. 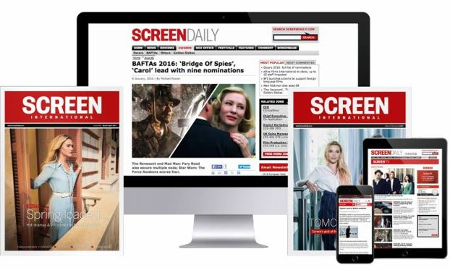 Screen understands that features including Bart Layton’s American Animals have been pinpointed as potential vehicles for multi-million pound backing in a bid to boost the company’s £15m ($23m) pool. Kosse’s commercial nous has also led to him playing a greater role in feature acquisitions for Channel 4 broadcast. Asif Kapadia’s Amy was a smart early call. Meanwhile, the executive’s experience in international marketing and distribution is moulding Film4’s new philosophy. “There’s definitely an ambition to be more present on the global and international stage,” says Bruce-Smith, who acknowledges that closer ties with distributors and faster awareness of festival “poppers” will help the drive. “We now have a different set of contacts through David and a different set of expertise in terms of his understanding of the international market place. While some commentators noted the number of non-UK directors and partners on Film4-backed projects in Cannes, those decisions were made pre-Kosse and reflect an industry-wide internationalisation. That said, Film4 is now pushing the trend in a way that public broadcaster BBC Films would not likely get away with. The company is keen to forge new alliances in the US, for example. The broadcaster’s push into the US is reflected not only in the number of projects shooting Stateside and new production partners – including genre guru Jason Blum and New York-based Cohen Media Group on Stoner - but also in staff acquisitions. Business development executive Jennifer Hollowood has joined from Universal while an LA-based PR firm has been added to grow the company’s US media footprint. Yet while Film4 may have eyes on the international prize, its commitment to cutting-edge UK creatives remains steadfast. Among projects in the pipeline is an untitled drama from husband and wife writer duo Zadie Smith and Nick Laird, set up with Ex Machina and Far From The Madding Crown producers DNA Films. Described as “half-adaptation, half original story”, the drama was inspired by Smith’s 2013 novella The Embassy Of Cambodia and will chart a Gambian woman’s boat journey to the UK via Libya and Italy. Film4 is also reteaming with Suffragette producer Faye Ward on Glasgow-set story Country Music, about a young working-class woman who wants to become a country singer. Former Royal Court director Dominic Cooke, who most recently directed Benedict Cumberbatch in BBC series The Hollow Crown, is set to make his feature debut on the project written by Nicole Taylor (The C Word) and set to be produced under Ward’s fledgling Fable Pictures banner. Mike Leigh’s large-canvas Peterloo Massacre drama is in development and the company is talking to 45 Years director Andrew Haigh about his next film. The projects are largely characterised by strong UK creatives or producers but also solid international hooks. Readying for production are Paddy Considine’s boxing drama Journeyman, Yorgos Lanthimos’ buzzed-about and scaled-up untitled period drama from Element Pictures and Scarlet Films and John Cameron Mitchell’s potentially starry How To Talk To Girls At Parties, produced by See-Saw Films and New York-based Little Punk. See-Saw and Film4 are also developing Steve McQueen’s New Regency-backed heist thriller Widows, which the director is co-writing with Gillian Flynn. The inevitable question is whether Film4 will still be as willing to invest in smaller, more experimental UK-oriented productions and the mid-range titles. “Shorts remain vitally important to us,” assures head of development Rose Garnett. “And those middle-ground films are hard but for us they are bridging films. “The conversation I had a lot when I got here was about the breadth of the material we’d consider,” adds Kosse. The hope now is that the strategy can prove a virtuous circle. “There’s always a hope that if the returns get better, there’s more allocation,” Kosse concludes.